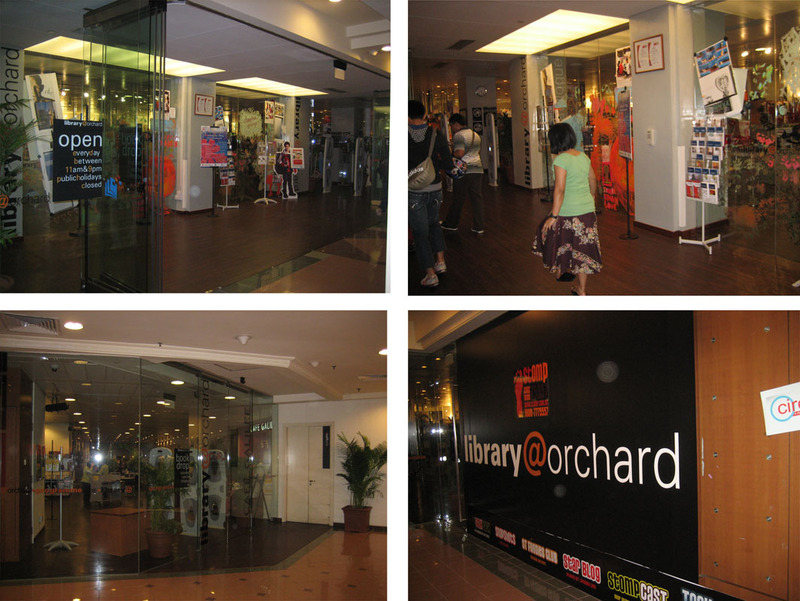 This is my last post about the library@orchard. Tomorrow, the library will be officially closed after the Moving On party. Unfortunately, I will not be in Singapore to attend the event. Hopefully, the other citizen bloggers will take some memorable pictures of the last hours of the library. It is definitely a really cool, boutique-styled library that I will miss. I was checking out the talented group – The Novelties that had a gig at the library@orchard two weeks ago. They are a group of friends, currently studying at the Singapore Management University (SMU). Cheryl, the cute lead singer could do a real good rendition of Cranberries and she commented that it is very sad that the library@orchard will be gone. The group was pleasantly surprised at the crowd that gathered to cheer them on during the performance at the library. 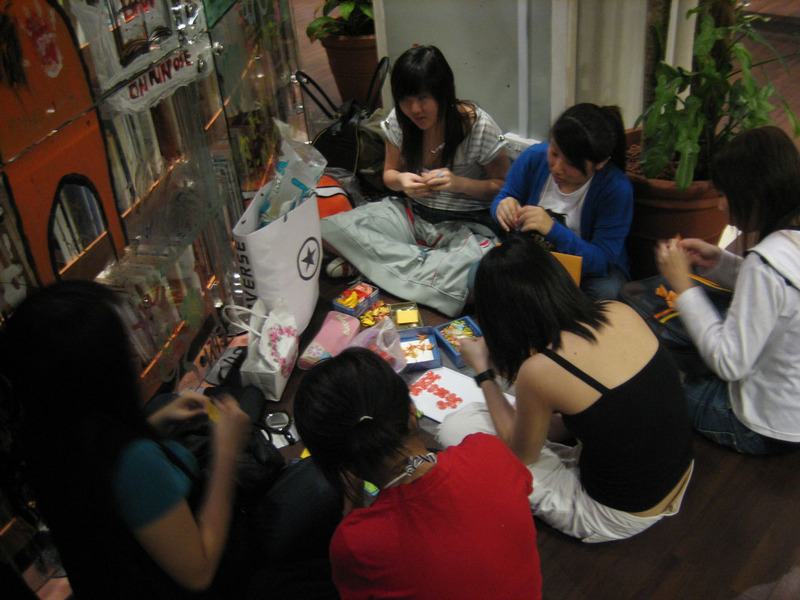 I had to include this interesting picture of this group of girls who gathered at the library not to study or read but they sat at a little corner, enjoying the performance and folding little paper cranes. I was intrigued! “It has a great set-up, especially a special center stage for nice and free performances. This library also stocked up great selection of books and has nice librarians!” they added. 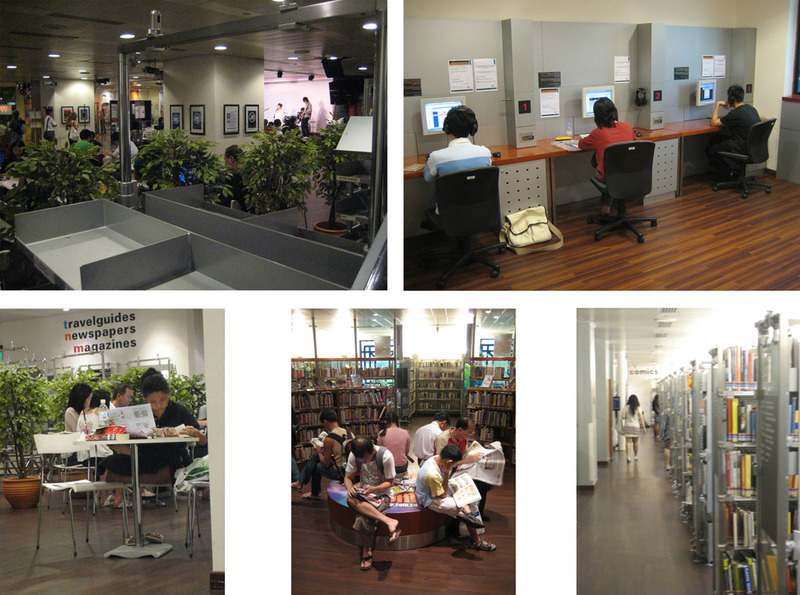 The library will re-open in 2010 in two re-incarnations – as library@*scape, a youth community space and as library@orchard at a redeveloped site along Orchard Road, according to the official press release. So, there! I guess, this is Bye bye library@orchard. This entry was posted in Bookish Stuff, Life Stories and tagged Books, libraries in Singapore, library@orchard, ngee ann city, the novelties by Priscilla Tan. Bookmark the permalink. You won’t be joining us for the Moving On Party? Aww, pity. And I wasn hoping to finally meet you and Jon in person. Well, have a safe trip. I used to go there quite frequently when I was erm, younger when I was quite an avid reader then. Well I remember always having problem finding a seat cos all the cozy spots at the reading nooks or seats beside the glass panels are always occupied. I hope they built a similar place soon. The main Library at Bras Basah is too big and “cold”. Ivan, we would love to. Unfortunately, we are heading to Bali in the next half hour! Will only be back 5 Dec. Hope to catch up for coffee somewhere in December! Stan, what happened when you grow older and no more avid reader? ha. The trick is go early early on Saturday morning. Somehow, I shared your thoughts about the national library. I was just there last week, managed to find some books but it feels weird there. Guess, some of the community libraries are more cosy and nice. I love Orchard library, small but yet always able to find the books I am looking for. Too bad it was too expensive to maintain for our leisure. nice to hear from you. Hope you guys are still rocking out there.